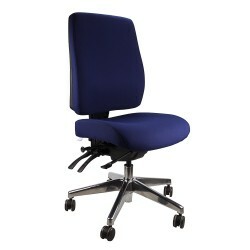 Choosing the right office chair can be a daunting exercise with so many different chairs to choose from. Northside Office Furniture offers a carefully chosen selection of ergonomic office chairs to meet most needs - Ergonomic Executive, Operator, Typist, 24/7 chairs, Heavy Duty Chairs and Industrial Chairs. Most of our office chairs come in various standard colors. There are hundreds of custom designer fabrics and color options available. Please call us or visit our Sydney office furniture showroom to discuss your requirements and we will guarantee that we will get the office chair you need! 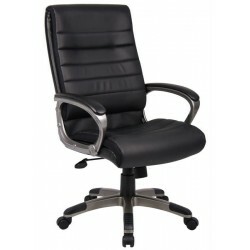 Posturight Chair is ergonomically designed for pronounced lumbar support and adjustable lumbar heigh..
Black Leather Posturight chair with arms is ergonomically designed with excellent height adjustable .. 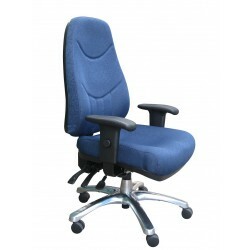 Heavy Duty Executive Chair which can take a load of upto 160kgs, has standard seat slide feature. Fe..
Sled Base Visitor Chair with fabric seatFeatures:Fabric ChairLinking Chrome Sled BaseUse as a Visito..
Square Visitor Chair with a chrome cantilever frame, black grey mesh and upholstered in black fabric..
Multi purpose client/visitor chair with arms featuring:Stackable4 legged base frameBIFMA drop tested..
A Stackable & Linkable Visitor Chair featuring:Black standard frame colourStackable and linking3..
One-piece plastic student chair suitable for schools, from Kindy to year 12.The larger size also per..
A Client/Visitor Chair featuring:Coverings: Leather or PULeather: BlackPU: WhiteFrame: Chrome3 year .. 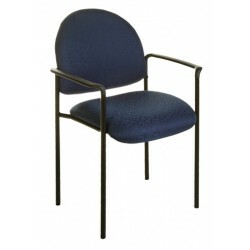 Visitor Chair with weight rating of 120kgs, 3 year warranty, available in black or charcoal fabric a..
Black Leather Visitor Chair featuring:A Grade leather Alloy frame Slim line design3 year..